We have selected six of the best half-backs in Super League in 2018. It might not have been the best year for Hull FC as a team, but Jake Connor certainly did himself no harm in 2018. The 24-year-old predominantly played at half-back, but also shown great versatility by playing at centre on several occasions. He scored six tries and 40 goals in 24 Super League games, also grabbing 15 assists. Connor made international debut in England’s mid-season win over New Zealand in Denver and has gone on to make four appearances, scoring four tries. He has a huge future. Williams is one of the hottest prospects in the rugby league world right now. 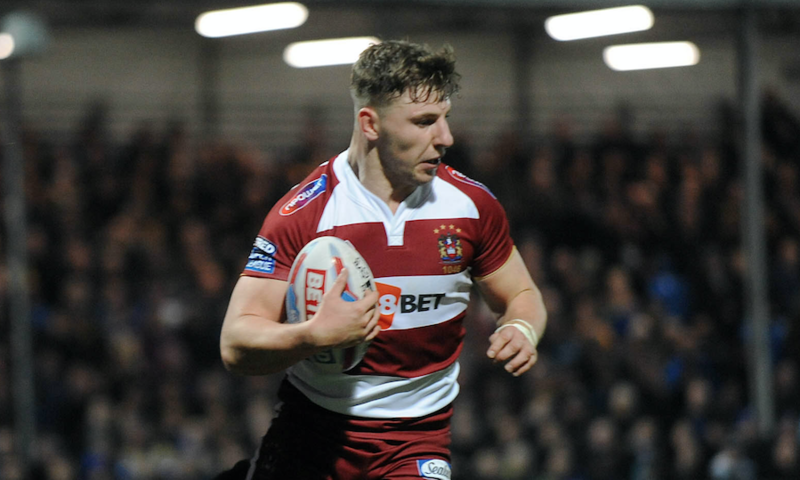 The England star owes a lot to Shaun Wane, who gave him his chance to shine in the Warriors’ first-team and handed him Wigan’s famous No. 6 jersey. 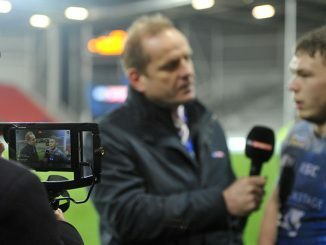 Williams scored six tries in 24 games in Super League, providing 22 assists. Williams racked up 19 clean breaks and also bust 85 tackles, earning Wayne Bennett’s trust. The Wigan academy product started in all three Test matches this autumn and he possesses one of the best short kicking games in the world. The 22-year-old has enjoyed a phenomenal breakthrough season this year. Richardson, who has played 30 games in Super League in 2018, kept Matty Smith out of the Saints team due to his impressive performances. He kicked 132 goals for Saints, more than anyone else in the competition. He was selected to go on the England Knights tour of Papua New Guinea this autumn, but he didn’t travel with the squad due to injury. There is still plenty of time for international action for Richardson, though. 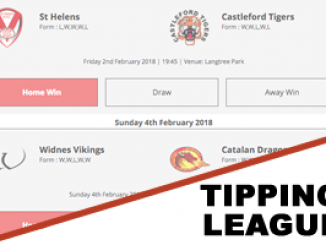 The Australian started the 2018 season digging holes in Australia after he left Leigh Centurions following their relegation from the top-flight in 2017. But Catalans handed him a lifeline midway through the season and he didn’t let them down. 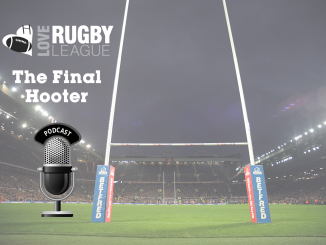 He scored seven tries and kicked 53 goals in 17 Super League games for the Dragons, and was their standout player. Drinkwater inspired the French club to become the first-ever non-British team to lift the Challenge Cup trophy in its 122-year existence. 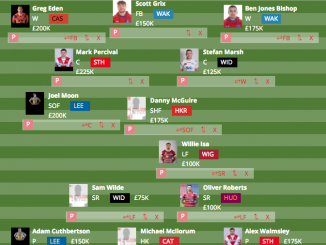 Like Richardson, Trueman had an exhilarating first proper season in Super League. 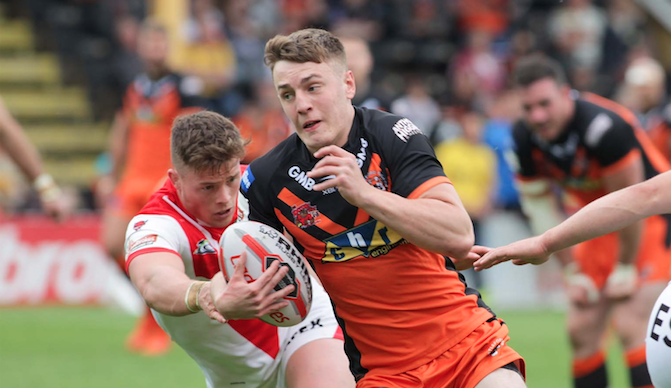 He moved to Castleford from Bradford Bulls in 2017, but really made his mark in Super League this year. Trueman scored seven tries and came up with 17 assists in 27 appearances for the Tigers. Trueman picked up the 2018 Young Player of the Year award, voted for by his fellow players. The 21-year-old was also meant to go on the England Knights tour but had to withdraw from the squad with injury. The future England halves are exciting, with Connor, Williams, Trueman and Richardson all competing for places. A lot of people still think of Lomax as an up and coming player, but he has wiped that tag away in 2018 and is a world class talent. 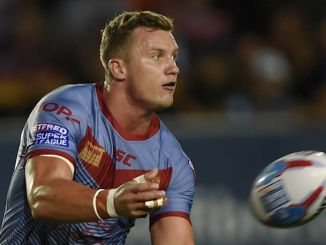 The 28-year-old has established himself as one of the best players in Super League and an England regular. He scored 17 tries in 27 games to help Saints lift the League Leaders’ Shield, claiming 16 assists. Lomax has also got rid of the ‘injury-prone’ tag that he had a couple of years ago as well. He plays to a high level on a consistent basis now and is comfortable playing in both the full-back and half-back position.